The office of California Assembly member Richard Bloom (D-Santa Monica) reports legislation to ban certain rodenticides passed the Water, Parks and Wildlife Committee on April 9; the bill already passed the Environmental Safety and Toxic Materials Committee on March 26. The bill now heads to the Assembly Appropriations Committee for approval. Bill AB 1788 would ban second-generation anticoagulant rodenticides (SGARs) for use in California, and ban first-generation anticoagulant rodenticides (FGARs) on state-owned property. It does not include an exemption for the use of these products during a public health emergency, according to the National Pest Management Association (NPMA). If passed, California would be the first state in the country to impose an all-out ban of these products. 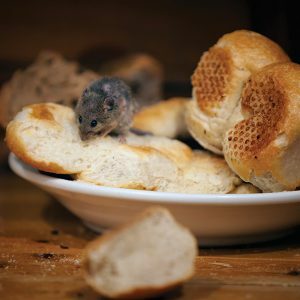 The proposed rodenticide ban has long been in the works and follows California’s precedent of introducing the strictest environmental legislation of any state. As PMP reported in February, the California Department of Pesticide Regulation (DPR) announced plans in November to reevaluate SGARs brodifacoum, bromadiolone, difenacoum and difethialone. These rodenticides were named Restricted Materials the last time they were assessed in 2014. The NPMA said activist groups cited data and studies that prompted the DPR to reevaluate SGARs. “These groups maintain that SGARs may have an ‘adverse impact’ on non-target animals,” writes PMP Senior Editor Diane Sofranec in PMP‘s February Regulatory Report column. Following DPR’s announcement, the NPMA, the Pest Control Operators of California (PCOC) and other entities partnered to resist the re-evaluation of SGARs. They submitted comments in January that questioned the validity of the data and studies presented to the DPR, and argued banning SGARs would adversely affect public health and the economy in California. The NPMA applauds all the members who showed up in force on April 9 to oppose AB 1788. “Although we don’t anticipate it will be an easy fight, we will continue to work together to oppose the bill as it moves to appropriations,” he added. Pest management professionals who want to help can send a message to legislators. “Keep an eye out for action alerts, and please continue to visit the Take Action page on the NPMA’s website to make your voice heard,” said Plevelich.